Added new videos on how to install the 1966-67 tach, and a new product demo on the newest 1970-71 retro style radios. 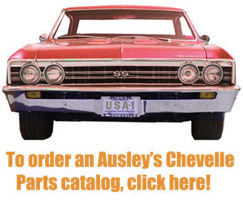 Added new videos on 1966-67 emblem placement, windowfelts, grille and tail panel, 1964-65 consoles, and demo of the new ID Model Code Book. Have a question or issue you'd like to see addressed in the next video? Do you have your own video you'd like to share with us? Any comments for our new website? Let us know below!